My name is Grayson King. 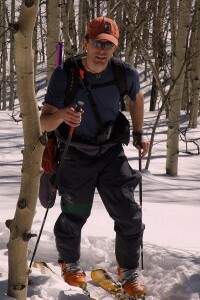 I’m an engineer and an avid backcountry skier, and I invented PoleClinometer in the Spring of 2014. I launched via Kickstarter in December 2014, and PoleClinometer slope meters have been selling online to a worldwide audience since 2015. I obtained a patent (US9668552) for the technology, granted summer of 2017. In fall of 2017 I licensed PoleClinometer production and distribution to the good folks at Garage Grown Gear, who have also been the #1 retailer for PoleClinometer slope meters from pretty early on. My company, SnoWander LLC, maintains all rights and responsibilities for all things relating to PoleClinometer. will hang vertically when you dangle it (like a plumb bob). This is critical. has a cylindrical shaft, so lines around it representing slope angles can be read from different perspectives (see below). The trick is in the “lines”. Each PoleClinometer slope line is defined by the intersection of a hypothetical plane (representing a given slope angle) with the surface of the cylindrical pole shaft. Such a line will appear straight only when viewed from any point on that plane, and will otherwise appear curved, as illustrated below. See the use page for how this gets applied in practice. Each slope line on a PoleClinometer sticker is a precise sinusoidal curve to accurately represent a specific slope angle when wrapped around a cylindrical pole shaft. If you really want to get your geek on, check out the math behind the magic of PoleClinometer curves. Otherwise, suffice it to say: Straight lines don’t work! There’ve been a couple attempts at ski pole inclinometer stickers that incorporate straight lines (details here). These straight-lined inclinometer stickers should be avoided as they’re inherently flawed and highly inaccurate. But I credit them as my inspiration to find a way to do it right, which led to PoleClinometer. The goal of PoleClinometer is to help people stay safe in the mountains. By making it quicker & easier than ever to read slope angles accurately, I hope the product will improve folks’ awareness of terrain as they travel through it, and ultimately lead to more informed decisions and improved avalanche safety. But of course inclination is just one piece of the puzzle, and education is where it all comes together. Your brain is the best tool you have for staying safe in the mountains, so take the time to sharpen that tool with top-notch training! What better logo than an image of a real snowflake? 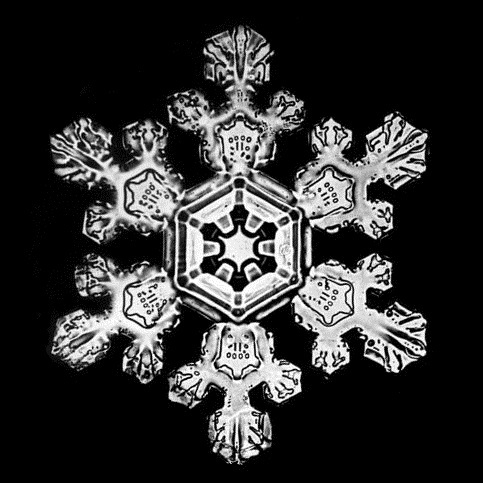 The SnoWander snowflake (click image here for higher res version) was photographed by famed Vermont photomicrographer Wilson “Snowflake” Bentley in the late 1800s or early 1900s. 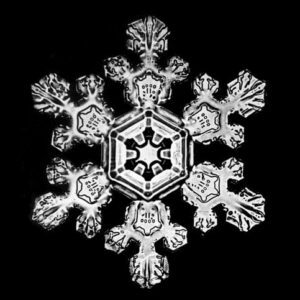 These Original Wilson Bentley Images are all public domain works, and are just a small sample of the more than 5000 snowflakes Bentley photographed in his lifetime. And yes, no two are alike! Big Hug to the Open Source Community!